Serum under the eyes. Easy to use with roller head. Feels fresh as soon as used. 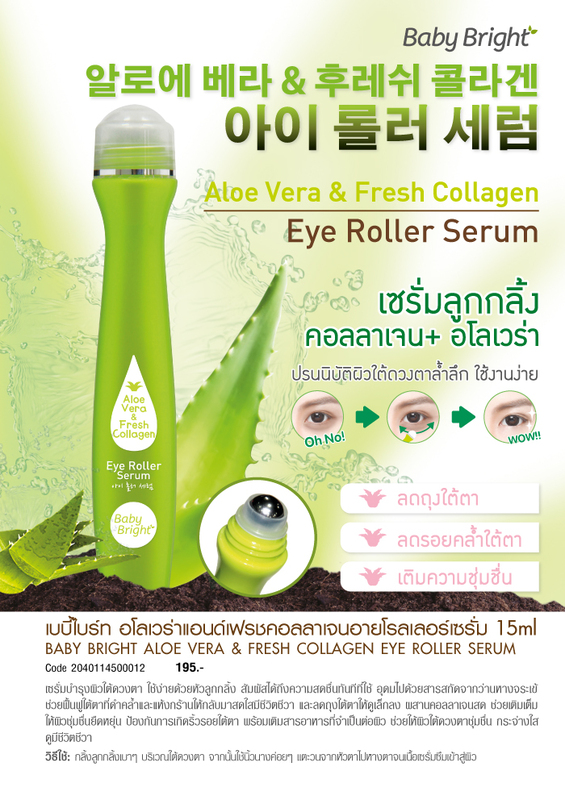 Rich in Aloe Vera Extract Helps restore dark circles under dry eyes and bring them back to life. And reduce bags under the eyes to look smaller. Fresh collagen helps to moisturize the skin. Prevents wrinkles under eyes. Nourishes skin with essential nutrients. Allows the skin under the eyes to moisturize, look lively.